The Mövenpick MS Prince Abbas is a five star Lake Nasser Cruise and offers a great chance to enjoy the beautiful scenery of Lake Nasser and see the magnificent temples and tombs of the ancient world. The Mövenpick MS Prince Abbas Lake Nasser Cruise was awarded the “Best Floating Vessel on Lake Nasser” in 2007 by the Egyptian Ministry of Tourism. 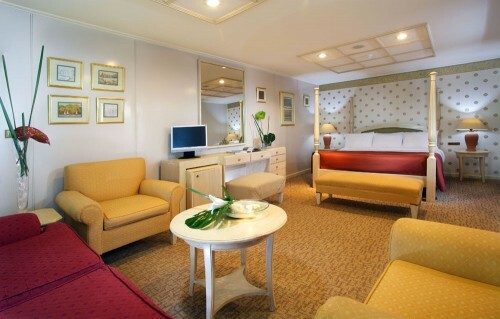 The five-star cruise ship offers 43 spacious and well-appointed standard cabins of approximately 21 square meters, 18 junior suites of approximately 30 square metres and 4 royal suites of approximately 40 square meters.